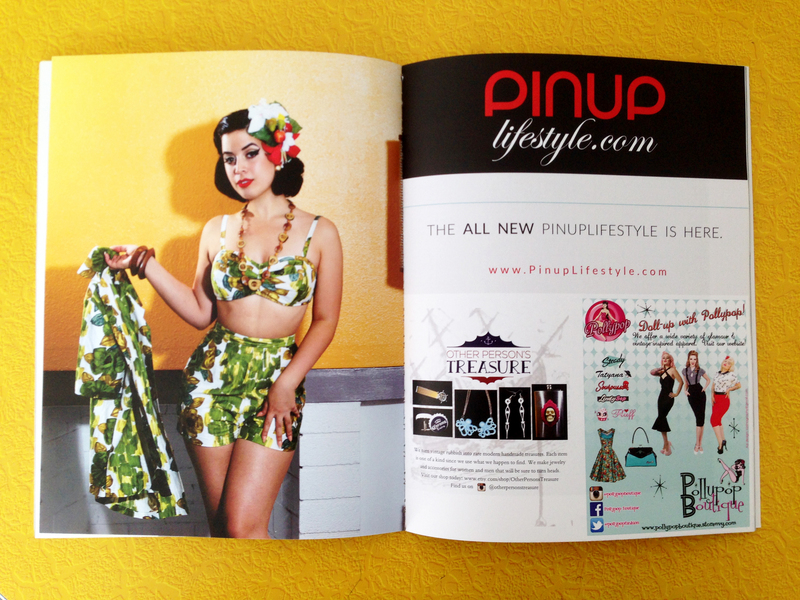 Last month I was stoked to be featured in Pink Bow City Magazine for their July issue #13 wearing my first vintage swimsuit I ever purchased from What Was Is Vintage, shot by the talented Susana Vestige. It is always such a pleasure to shoot with her. It was awesome because I got to wear really awesome outfits from my collection and we got to shoot at my house and in my neighborhood. I’m sure many of you remember this outfit as this was actually taken shortly before Viva Las Vegas (when I actually wore this outfit out with a much different hairstyle). I still wore the outfit the same and with my NicCoco hairflower<3. These shots are actually the images that never made it into the magazine. However, I still love them so much I decided to share them with you here. These images are ethereal, take a look at inside and tell me what you think ;). Thank you for the feature Pink Bow City! ← Be brave, black sheep. Whatever happened to this dress?? Easily your best look, such a beautiful and rare dress. You should do it justice and flaunt it more. I know i would love it!